Allen Carr’s The Only Way to Stop Smoking Permanently seems to stir up some rather dissenting points. Arguments about grammar usage and the appropriate use of golf metaphors aside, everyone seems to agree on one thing: the book works. The method lays claims that the reader will be able to quit easily, without using “gimmicks” to achieve success. It also makes the statement that the reader will be able to avoid weight gain by using the methods that are presented within it. 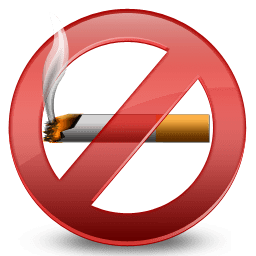 The Only Way to Stop Smoking Permanently is approaching two decades old, but that does not mean that the techniques aren’t still valid, as many of the professional reviews are quick to point out. Reviews and testimonials on the internet are questionable at best when it comes to validity; however, the mountain of them for this book seems to point to one thing and one thing only: it works. Even the people who pointed out the numerous typos and poor overall writing quality said that it helped them quit smoking. Several different websites, including Amazon and Goodreads, have numerous reviews for this book and not one of them states that the book was a waste of time or that it didn’t help the person quit smoking. 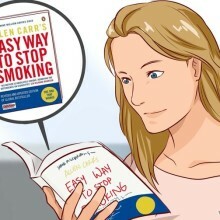 Several of the reviewers wrote theirs after years of being non-smokers and credit their initial and continued success to Allen Carr. One edition of the book opens with testimonials from healthcare professionals, all of which (of course) call the book a breakthrough and marvel at the success given Mr. Carr’s lack of degrees. But however much anecdotal evidence is scoffed at by most professionals, the sheer amount of claims points to either a massive conspiracy or the fact that here, qualitative claims are good enough. There is some evidence that Mr. Carr didn’t feel validated by the healthcare community at large, but the number of positive remarks about the book made by nurses, doctors and psychologists seems to contradict that. As a subscriber, you never miss a post AND we never spam! Is Chest Pain After Quitting Smoking Normal? Smoking During Pregnancy: How Does Smoking Affect Your Baby?